Do Tickets Affect Car Insurance? What Tickets Increase Insurance? You know that sinking feeling – you’ve just been pulled over by a police officer. Maybe you’re wondering “What did I do?” Or “Why have I been pulled over?” Even worse – you caught a glimpse of your speedometer and you realize, “Oh man, I was 20 kms over the limit!” And without skipping a beat, your next thought is, “Is this ticket going to increase my car insurance?”. You’re mad at yourself or you’re panicked because you know it’s not going to be a good outcome. 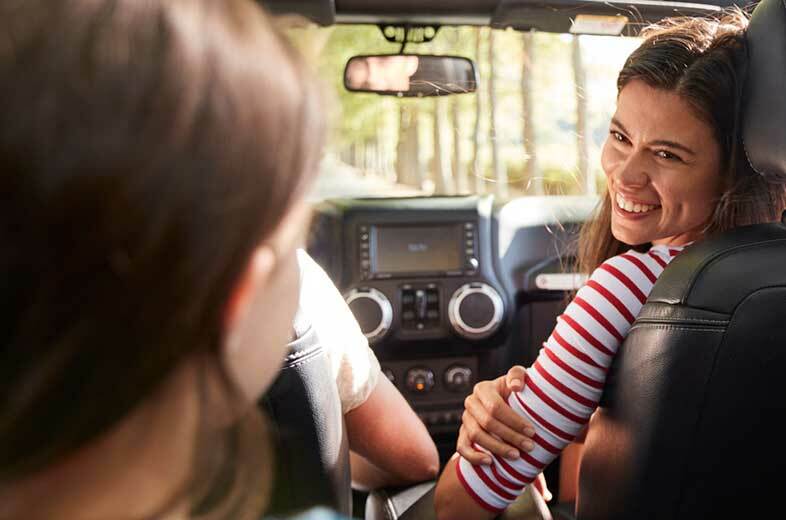 Whatever your reaction, the tough medicine you have to face is – there are going to be some outcomes – and some of them include your auto insurance. Everyone wants to know how tickets will affect their insurance rates. Even drivers who have a clean driving record want to know, just in case they get a ticket or traffic conviction in the future. We all know that, as a driver, you’re expected to safe driving in Ontario. And if you don’t know the rules of the road or don’t always follow them, you are putting yourself and others at risk. You also run the risk of getting a ticket or traffic conviction which can increase your car insurance rates. The following takes a look at which kind of traffic tickets affect insurance and the impact of convictions for Ontario drivers. Which Kind Of Tickets Affect Insurance? Do all tickets affect insurance? This is a common question we get from our policy holders in Ontario. The answer is that it depends on the type of traffic ticket you receive. 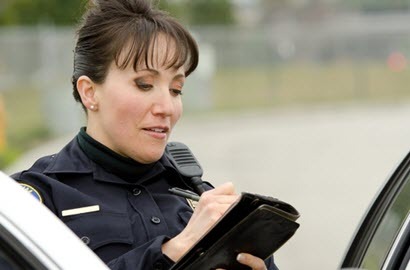 Traffic tickets are divided into three main categories – minor, major, and serious convictions. Each of these types can affect your car insurance rates, regardless of the number of demerit points or the severity of the fine associated with the traffic infraction. As a driver, you want to avoid getting any traffic ticket; however, there are some that are even more important to avoid because of the potential fines, demerit points, and impact on your car insurance rates in Ontario. 1. DUI : Driving under the influence or DUI has severe repercussions, including criminal charges and jail time. Plus, you can almost guarantee you will be labelled a high risk driver. 2. Distracted driving : One of the most serious issues on the road today, distracted driving fines start at $490 and 3 demerit points in Ontario. 3. Careless driving : A charge for careless driving in Ontario will get you 6 demerit points, fines starting at $400 and even the potential for jail time. 4. 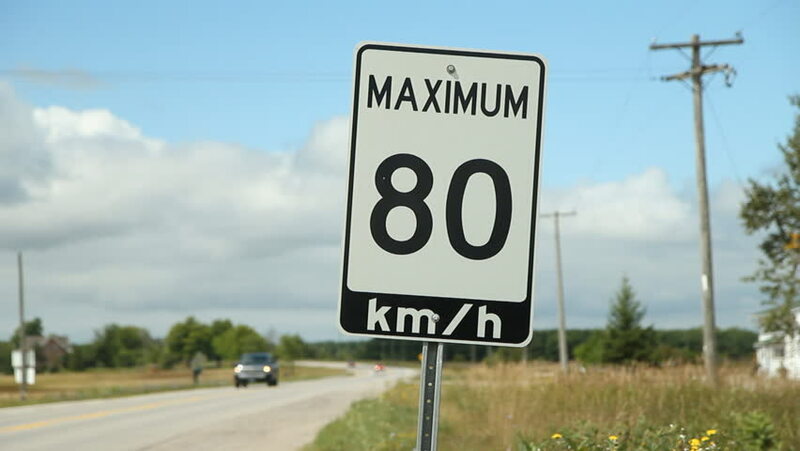 Speeding over 50 kilometres about posted limit : This is a serious offense that could come with additional charges such as street racing, careless driving, and will increase your insurance rates immediately. 5. Speeding in a school zone or construction zone : This is not only extremely dangerous, it comes with a hefty fine and will spike your insurance rates. 6. Driving without insurance : This will make it very difficult to get insurance if you don’t have it. Expect your rates to be through the roof. 7. Failure to remain at the scene : If you get into an accident, remain at the scene or you could face a big fine. 8. Passing a school bus with its lights flashing : Never put children in harm’s way. If you get a ticket for passing a school bus, expect your rates to skyrocket. How Much Do Convictions For Tickets Increase Car Insurance Rates? Every insurance company has their own policies on how they rate or charge for driving convictions. The amount and severity of the conviction a driver has on their driving record can impact rates. Serious Or Criminal Convictions : You may be charged 100% more for each conviction. Major Convictions : You may be charged 25% more for each conviction. 1 Minor Conviction : 1 minor conviction has no impact on rates but the driver will not be eligible for a conviction free discount. 2 Minor Convictions : Some companies charge 20% more for 2 minor convictions and 20% more for each additional conviction. So you’ve racked up a parking ticket or two, you’ve paid them, but you still want to know - how do parking tickets affect insurance in Ontario? You can take a deep breath! Parking tickets have no impact on your insurance rates. They do not appear on your insurance record, won’t show up on your driver’s abstract and are not used by insurance companies to determine your rates. However, if you don’t pay those parking tickets, you won’t be permitted to renew your license plate when it comes up for renewal, so make sure you pay those tickets when you get them. Do Speeding Tickets Affect Insurance in Ontario? Getting a speeding ticket is something most drivers will experience in their lifetime. It’s one of the most common forms of ticket, and if you get one, you want to know how a speeding ticket affects insurance rates. As with other tickets, it depends on the severity of the ticket, or how fast you were going over the limit, and the classification of the traffic infraction (minor, major, serious conviction) and how many speeding tickets you have on your record. Your first minor speeding ticket will not have as much of an impact on your insurance as your third speeding ticket or a conviction for a serious speeding offense. How Much Is The Ticket For Not Having Insurance? Always drive with proof of insurance and have your insurance card in your vehicle at all times. If you are pulled over by the police in Ontario, you will be asked to show proof of insurance, and if you cannot do so, regardless if it is your vehicle or not, you are subject to a ticket for driving without insurance. Did You get a no insurance ticket? How much is a ticket for driving without insurance? It depends. First of all, if you are driving and do not have auto insurance, you face hefty fines – the fine for driving without insurance is $5000 plus a 20% surcharge tax. If you produce false evidence of insurance or are in possession of a false or invalid insurance card, the fine is $10,000 plus a 20% surcharge tax. The most common ticket for no insurance is failure to show proof. The fine for failure to surrender an insurance card is $65. However, it will show up as a conviction and will appear on your driving record, and could impact your rates come renewal time. You can easily avoid this ticket by keeping your pink liability card and proof of insurance in your glove box, ensuring you and anyone else who drives your car can show proof of insurance if requested by a police officer. Will A Red Light Ticket Affect My Auto Insurance Rates? It could. If you are pulled over by a police officer for running a red light, it is considered a minor conviction and it could impact your rates. How do speed camera tickets affect insurance? They don’t as it is difficult to prove who was driving the vehicle. They are treated similar parking tickets and will not impact your insurance rates. 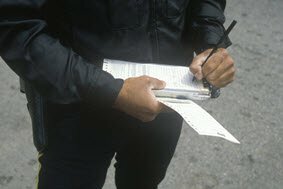 Do Tickets For Running A Stop Affect Insurance? Running a stop sign is a minor traffic conviction, and it is treated similarly to a red light ticket. Running a stop sign can impact your rates, so keep this in mind the next time you do a rolling stop. How Does Distracted Driving Impact My Car Insurance Premium? Distracted driving is a MAJOR conviction. The fine for distracted driving is $490, plus three demerit points; and if you are convicted of distracted driving, you can expect your rates to go up, even if you have a clean driving record. If you have previous tickets on your record and then get a distracted driving charge, your rates could skyrocket, and you could even be labeled a high risk driver by your insurance company and require high risk auto insurance. Read more about how distracted driving impacts car insurance in Ontario. Almost all of us worry immediately about our car insurance rates as soon as we get a ticket. But it isn’t the actual ticket that impacts your rate; it’s being convicted for a driving offense that impacts your car insurance. You pay the ticket : When you pay your ticket you are pleading guilty of the offense. You are convicted in court : You challenge the ticket in court and lose or get a reduced conviction. You don’t pay the ticket or go to your trial : If you don’t pay your ticket within 15 days of getting the ticket or you don’t go to your trial a Justice of the Peace may convict you of the offense. The effective date used for the driving offense is the date you were “convicted” of the offense. So the date you pay the ticket or the date you are convicted in court is the date used by insurance companies for the conviction. You can learn more about tickets and fines at the Ontario Ministry Of The Attorney General website. Convictions stay on your driving record for 3 years starting from the conviction date. If the impacts a driver’s insurance the increased rates will be reflected upon policy renewal for 3 years. The same thing applies when a conviction falls off of your driving record after 3 years. You will no longer be rated for the conviction and insurance rates will drop upon policy renewal. Generally speaking, insurance companies are not too concerned about demerit points – points you get for certain driving offences and fines. It’s important that you understand the demerit point system from a driving standpoint. At the same time, demerit points, including how many you have, can indicate the severity of your driving violation and of your offence but insurance companies don’t use them to calculate rates. Almost all driving convictions will impact car insurance rates. Parking tickets are the exception and have no impact on your car insurance rates. When your car insurance policy renews, your insurance company will check your driving record to find out if you have any driving convictions that may impact your rates. The severity of the conviction. The number convictions and their severity. Your insurance companies rules for convictions. Regular or standard insurance have guidelines for the types or drivers they will insure. If you have too many convictions or convictions that are more severe your insurance company may not want to insure you anymore. Generally 3 or more convictions or a combination of a minor, major and/or serious conviction may mean that you are considered a high risk driver. If this is the case, your insurance company will likely not renew your insurance policy. There are insurance companies who will insure high risk drivers but their rates will be higher. Learn more about high risk auto insurance coverage. If you are unsure of your driving record and the dates of convictions it can be helpful to get a Driver’s History Report (also called a Driver’s Abstract). This will give you a good idea what you might be facing at renewal time. You can also decide whether you are going to compare car insurance quotes from different insurance companies. When you get a quote, be honest about your tickets and convictions, this will help insure your quote is accurate. Insurance companies will run your reports anyway and modify your quote based on your driving record. There are many factors that impact car insurance rates and being a good driver is one of the most important ones. Driving convictions are an indication of how good a driver you are to insurance companies. Being conviction free helps ensure that you will get the lowest rate for coverage. Don’t get tickets or convictions of any kind. Follow the road rules at all times. Drive a vehicle that is safe and operating properly. So stay conviction free to keep your car insurance rates as low as possible. If your rates are impacted by a conviction, it will fall off your driving record after 3 years and won't affect how much you pay for your car insurance. There is no exact science to determine how much a traffic ticket or driving infraction will impact your car insurance rates in Ontario. In general, minor tickets will have less of an impact than major convictions, but to know for sure, and if you want to get cheap auto insurance with tickets on your record, get a car insurance quote with ThinkInsure. Our brokers are here to help! <<Overland Flood Insurance : Are You Protected Against Basement Flooding?